The government’s decision to charge private companies for Aadhaar authentication has not gone down well with the industry, which argues that the move will make services more expensive for end-users. On Thursday, the Unique Identification Authority of India (UIDAI), the agency that administers Aadhaar, said it will begin charging private firms for electronic know your customer (e-KYC) transactions. Each authentication will cost Rs 20 and a yes/no transaction will bear a charge of 50 paise. 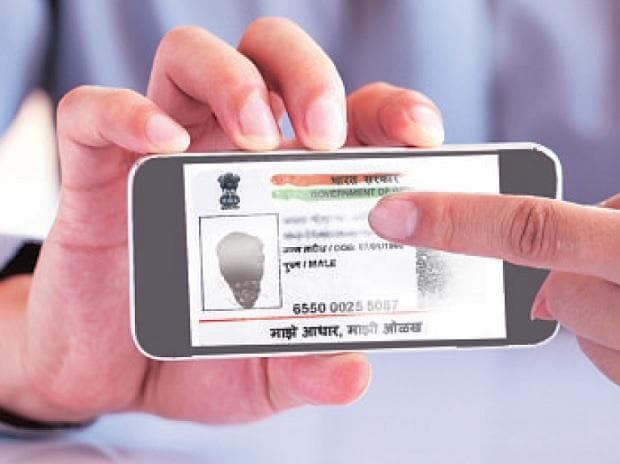 The Cabinet had last week enacted the Aadhaar and Other Laws (Amendment) Ordinance, 2019, which will allow use of Aadhaar number as a voluntary KYC mechanism. The Supreme Court last year struck down Section 57 of the Aadhaar Act, disallowing private companies from insisting on the 12-digit identity number. The industry had welcomed the move, but Thursday’s fresh announcement about charging private companies for authentication did not go down well, given that a Rs 20 charge for each authentication would be a significant cost for private firms operating in rural areas. “The high price of authentication goes against the purpose of having digital platforms that encourage inclusion. Charging a high amount for Aadhaar authentication is not conducive to inclusion and we hope the government will revisit this,” said Sharad Sharma, co-founder of iSpirt, a software products think tank. Digital inclusion and reaching all parts of India are the key thrust of the government’s Digital India programme. The cost of authentication will most likely be borne by the customer. “People availing a service will have to pay the company the cost of authentication. Or the companies could increase the base fare of the service they are offering, or include it as a hidden charge,” said Srinivas Kodali, an independent researcher working on data and Internet. Telecom companies, banks and financial technology start-ups are the ones that use eKYC extensively for providing services. While telecom companies have welcomed the amendments to the Aadhaar Act to allow e-KYC, the costs arising out of the latest notification will be more than the Rs 20 specified by the UIDAI. “Each authentication will involve the customer and point-of-sale representative authenticating the Aadhaar number. This means Rs 20 will be paid by each of them. For a yes or no authentication, it will be another Rs 0.50 per person. So, the cost of one successful authentication transaction will come to somewhere around Rs 41. In addition, there will be some charges for using the data plan,” said Rajan Mathews, director general, Cellular Operators Association of India. The cost proposition could be a big disincentive for telcos and the association will try to discuss the new charges with the UIDAI, he added. “Although the cost of Rs 20 for every Aadhaar-based transaction seems reasonable, there will be multiple additional charges at the back-end. In the initial stages, it will put a lot of pressure on industry margins,” said Shailendra Naidu, CEO of fintech firm OBOPAY. “Fintech companies will bear a lot of infrastructure cost as well. We want these charges to be levied after a certain time and in stages,” he said. The notification by UIDAI on Thursday said entities requesting authentication would be required to deposit the authentication transaction charges within 15 days of issuance of the concerned invoice based on usage. A delay in payment beyond 15 days would attract an interest compounded at 1.5 per cent per month and discontinuation of authentication and e-KYC services.